A Roseland man faces involuntary manslaughter charges after prosecutors say he accidentally shot and killed his friend while they were smoking marijuana and he forgot the gun was loaded. 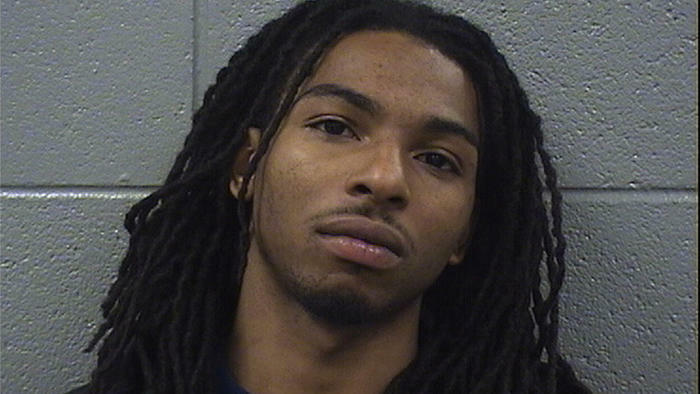 Antonio Lampley, a 23-year-old Wal-Mart greeter, was sitting in the backseat of a parked car Feb. 25 near his home in the 11300 block of South Parnell Avenue, smoking marijuana and listening to music with friends, according to Cook County court records. Derrius Drakes, also 23, was sitting in front of him, according to records. As they smoked, Lampley was holding the gun and “moving to the music,” but forgot there was a bullet in the chamber, Assistant State’s Attorney Akash Vyas said. The gun went off, with the bullet striking Drakes in the back and becoming lodged in his chest, Vyas said. Lampley immediately hid the gun, put Drakes in his truck and drove him to Roseland Community Hospital, where Drakes was pronounced dead, Vyas said. Lampley stuck around and talked to detectives, but he was very intoxicated and told varying accounts of what happened, Vyas said. Detectives performed a gunshot residue test on Lampley’s hands, and test results came back positive in May, Vyas said. Witnesses who were inside the vehicle when Drakes was shot identified Lampley as the shooter and said he told them he forgot there was a bullet in the chamber, Vyas said. About six weeks after his friend died, Lampley also told another person that he accidentally shot Drakes, according to Vyas. Police found a single bullet hole through the front seat of the car where the shooting took place, Vyas said.